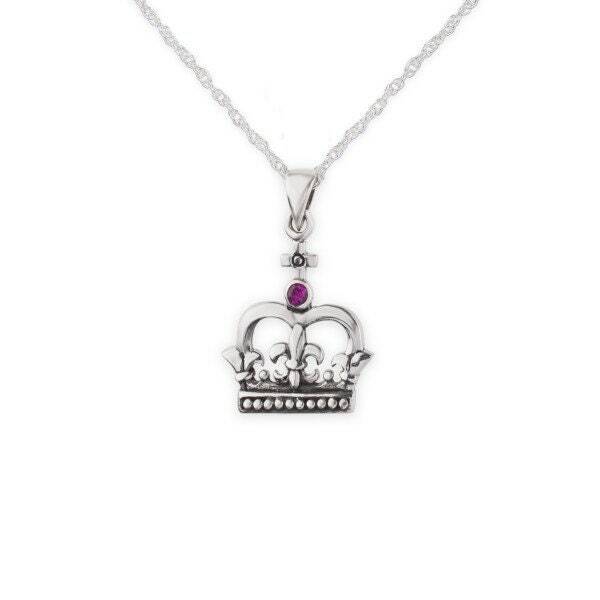 A highly attractive Sterling Silver Pendant, with a design based on the romantic life of Mary Queen of Scots. 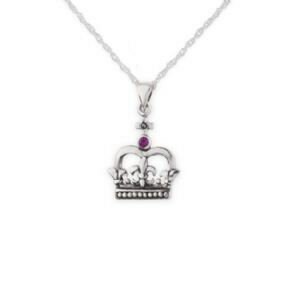 A perfect gift for the Queen of your heart! The design of this stunning pendant features the Scottish Crown, which utilizes the Fleur De Lis, the emblem particularly associated with the French monarchy, surmounted with a Cross and enhanced with a faceted garnet stone. 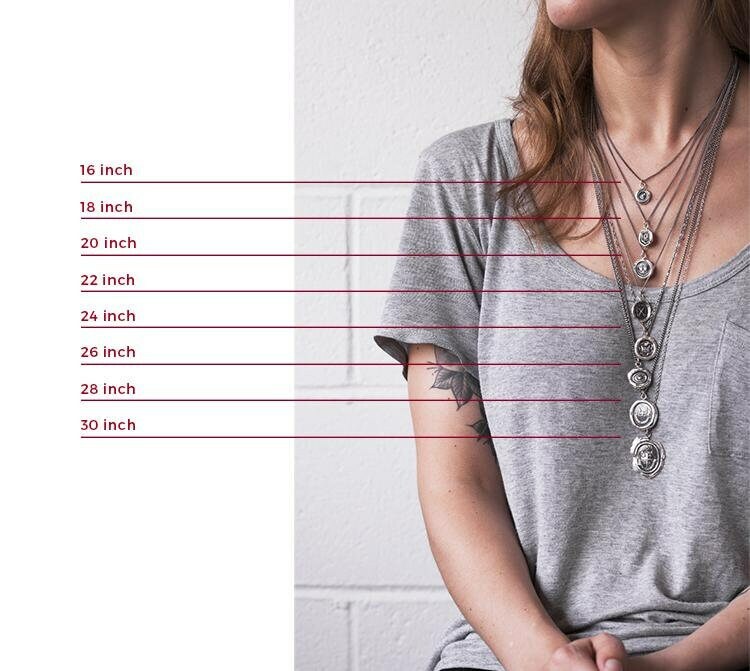 Crafted entirely of 925 sterling silver with a 16" sterling silver chain extendable to 18". Mary Queen of Scots is, arguably, Scotland's most famous monarch. Her short life encompassed more drama and romance than even a modern day romantic novelist could envisage. A tall, strikingly beautiful woman, by the age of only seventeen she had already been Queen of Scotland, engaged to the Crown Prince of England, married to the King of France (then one of the wealthiest countries on earth) orphaned and widowed! Size (approx) - 22.0mm x 15.0mm.